Hey vapors!! 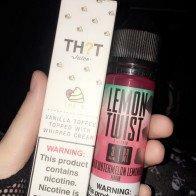 Im new to vaping and looking for a new flavor! I found this picture on instagram and It looks good but I hate buying liquid online. So can anyone tell me if its good or not? Does it look like its worth trying? If you have any recommendations as well please lmk!! No, I have not tried this juice before so I have no opinions but I do have a few suggestions.